Our recent trip to Florida included this wonderful first for us. 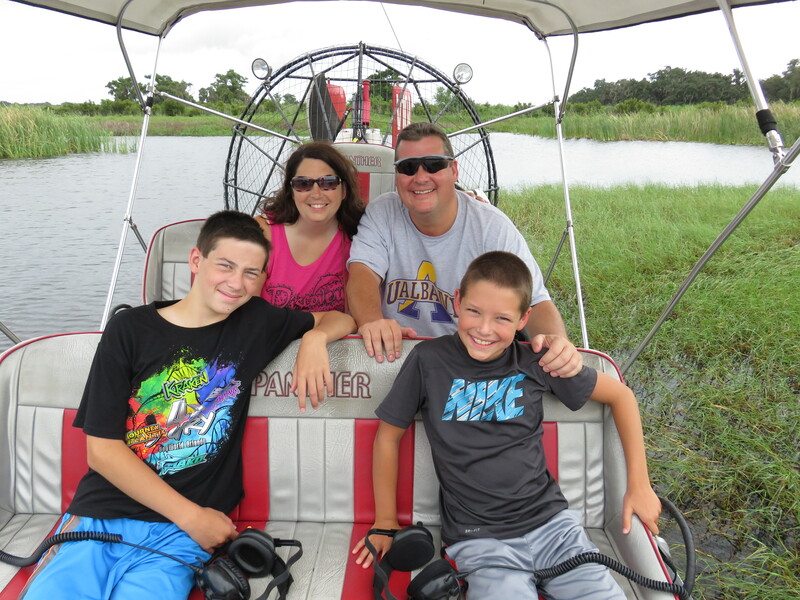 We drove out to Kissimmee and Lake Tohopekaliga to the address from the website. We were a little worried as it was raining most of the way and a hurricane was bearing down on Florida. 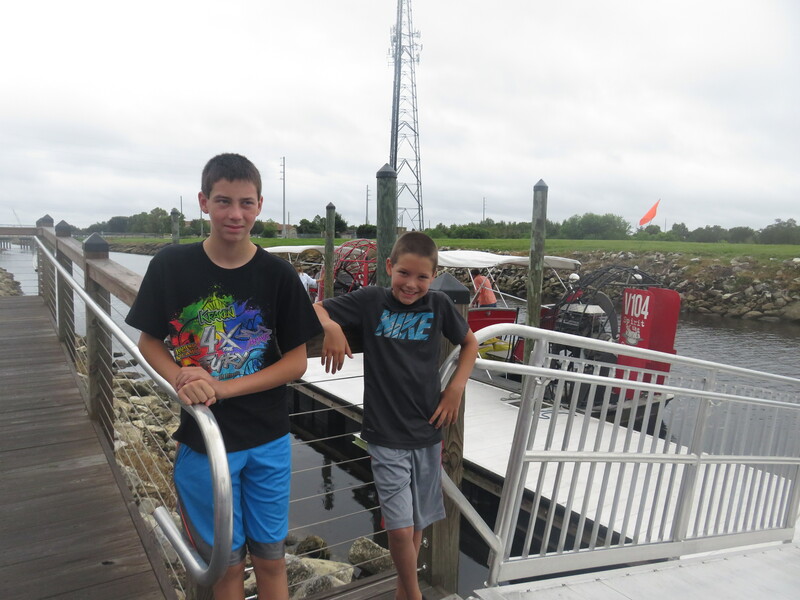 We didn’t know what to expect and we arrived to a park with a playground, a restroom, a dock area with the air boats and the address was a private residence. You check in right at the dock and they use the private house address so your GPS will get you there, it was a tad confusing when we first drove in, but it worked. 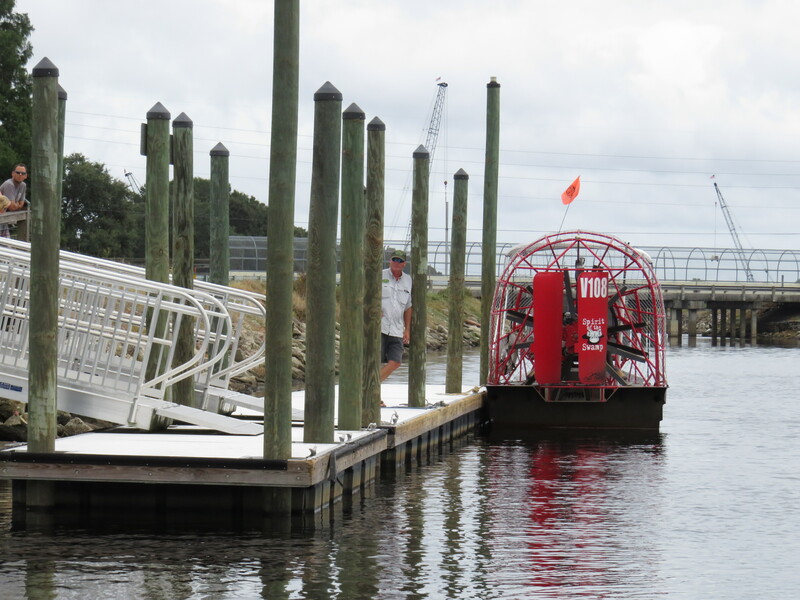 There appeared to be another air boat company there as well. 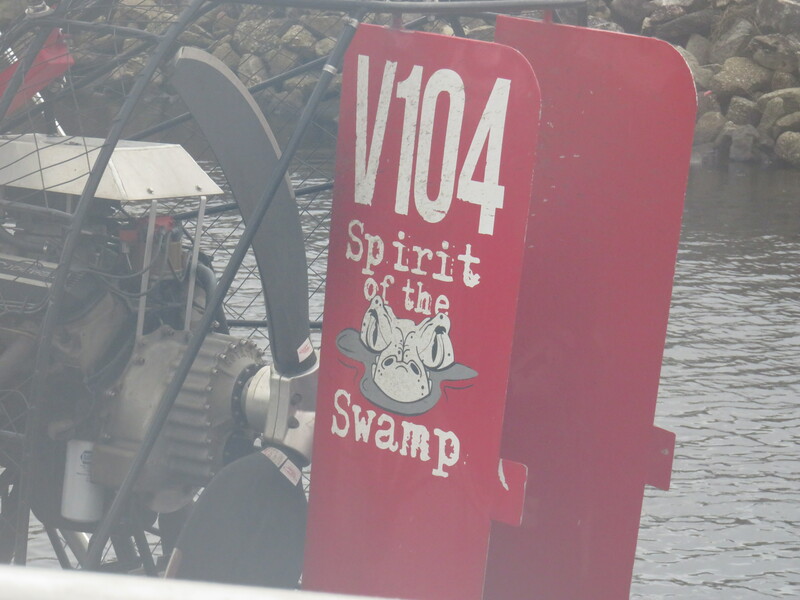 We met Captain Lynne from Spirit of the Swamp and boarded our boat after she put the canopy up since it was sprinkling. It was a small boat and it was just our family, which was really nice. We booked a 1 hour ride. We got on and were told about the headsets, we could hear the Captain and we could all speak as well without pressing anything and we could all hear each other. 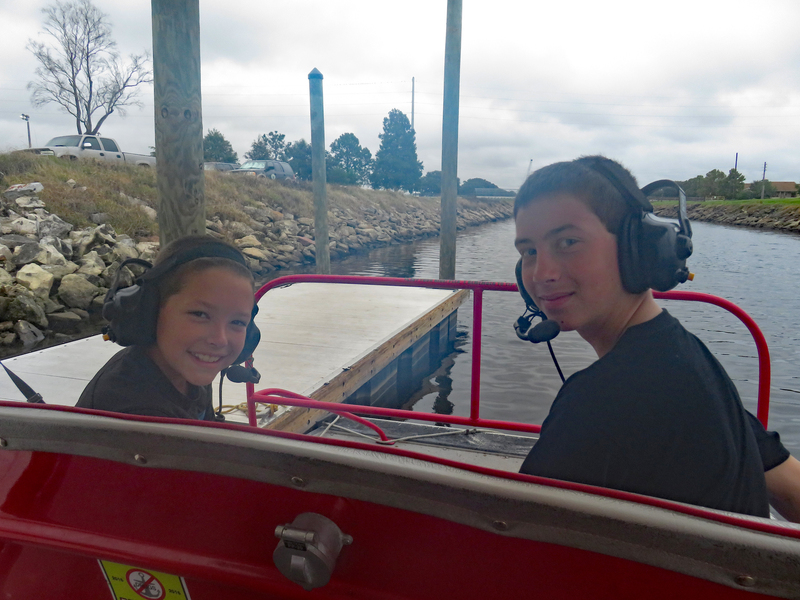 The boat is quite loud especially when going fast so the headsets are a must. As we were making our way along the canal out to the lake, Captain Lynne told us safety features and how the boat works. 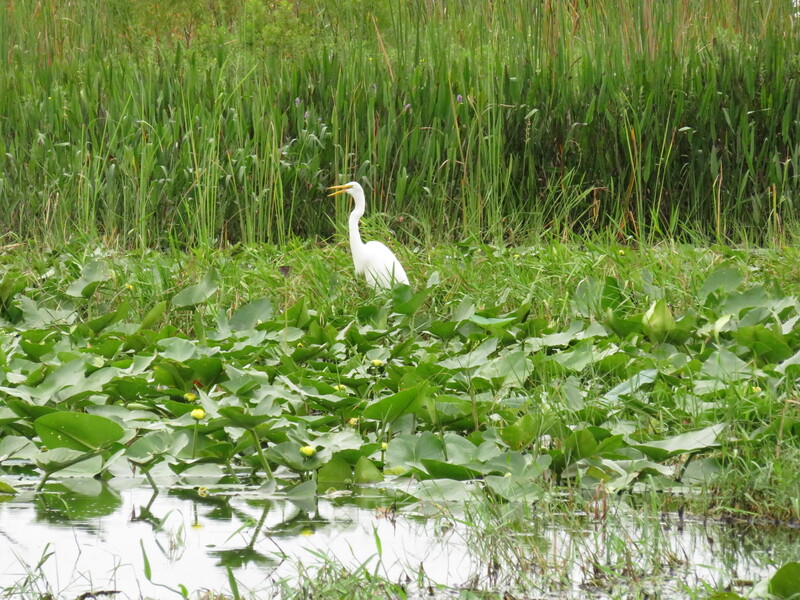 Once we arrived onto the lake, we immediately started spotting wildlife. Mainly birds, interesting birds everywhere. 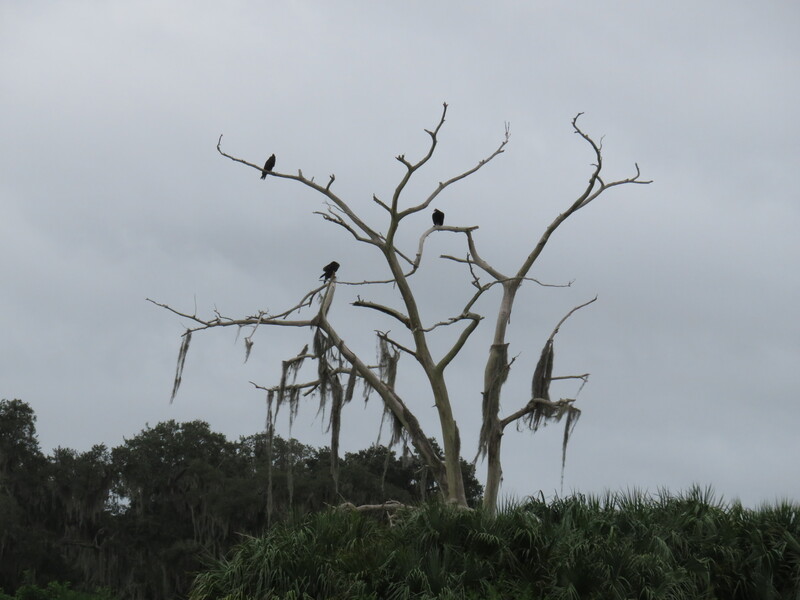 Vultures and egrets I believe were the first we saw. Captain Lynne was full of information about the birds, the lake and the alligators and she was funny too. 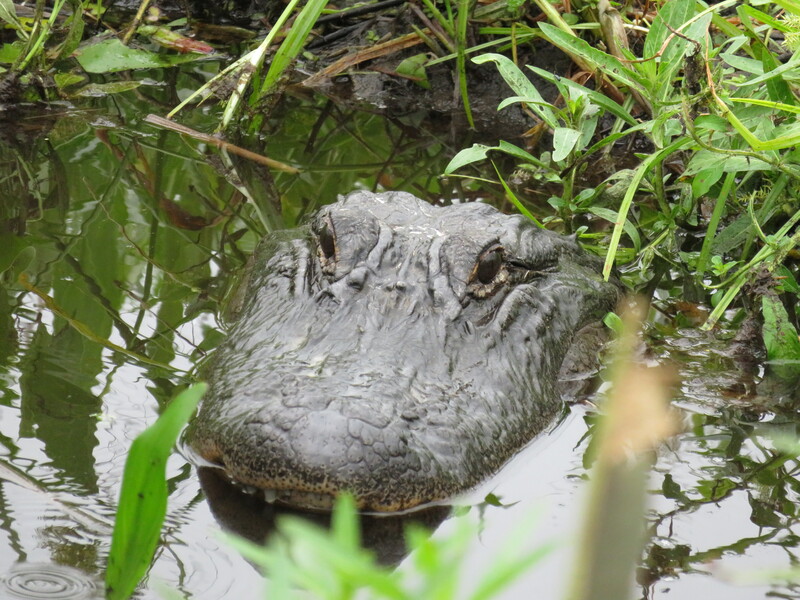 We very quickly found our first alligator, it was hatchling season, so there were mama gators guarding their nests and babies in spots and Captain Lynne knew them all. 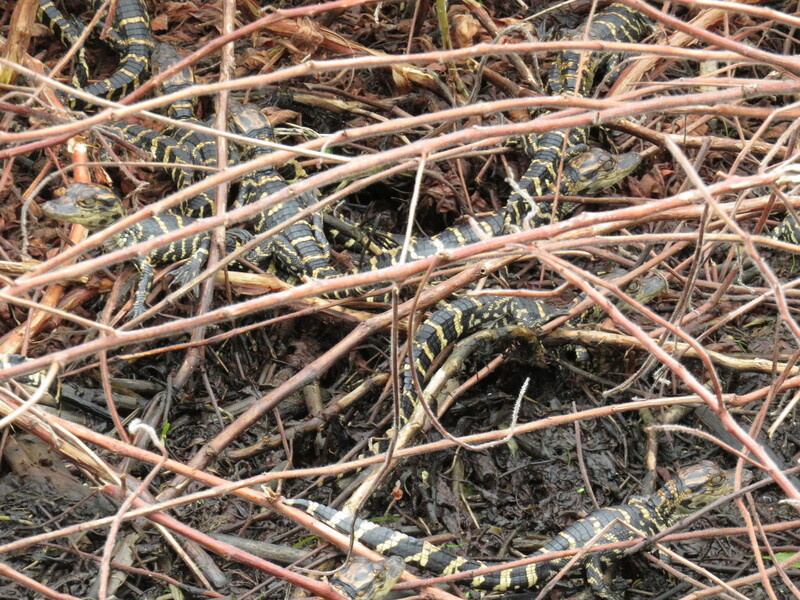 We got to see several nests and the babies are hard to spot, they are so tiny, but at one nest we saw tons of them. Unfortunately, the mother was nowhere to be seen. Captain Lynne said she hadn’t seen her in days and was afraid she had been caught as hunting season had started 2 weeks earlier. 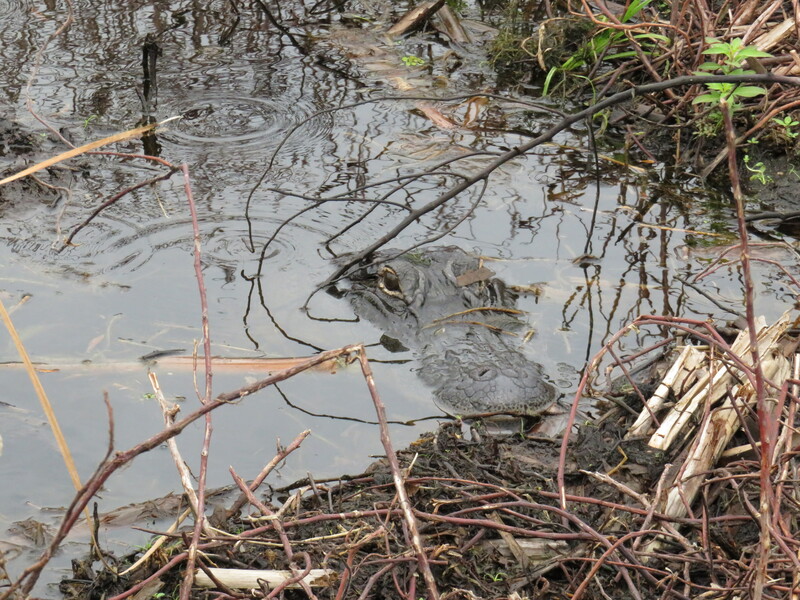 It seemed really wrong to us that they would allow hunting of female alligators right during hatchling season. Now those babies will probably not survive much longer without their mother. We were not sure what to expect, but we had a really good time on this excursion and am so glad we did it. It sprinkled a bit, on and off, but we were covered and stayed dry. 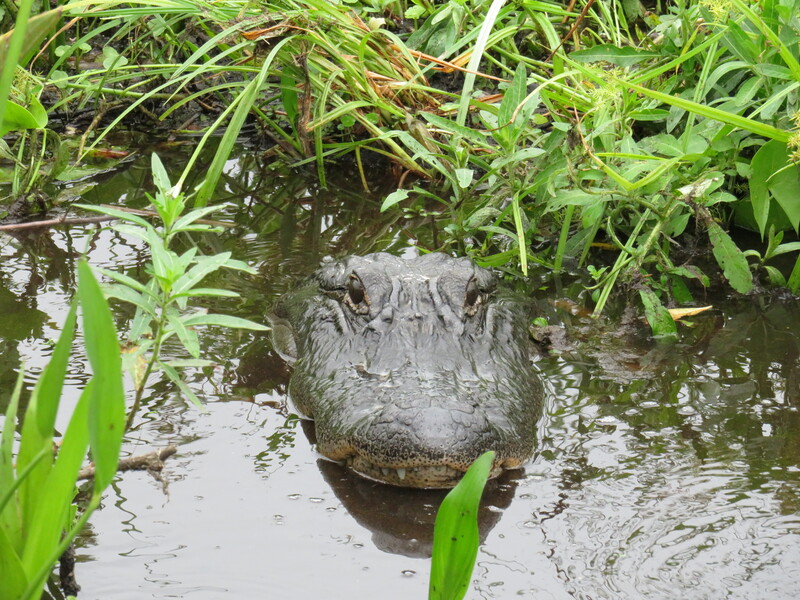 I had been on an air boat once when I was a child in the everglades, but I barely remember it. I do remember it being a big boat with lots of people. This was so nice because it was just us, we all had a great view, Captain Lynne would turn the boat around so we all got a great view. From Disney World, it took about 40 minutes to get there with some traffic. It took us under 30 minutes to get back. 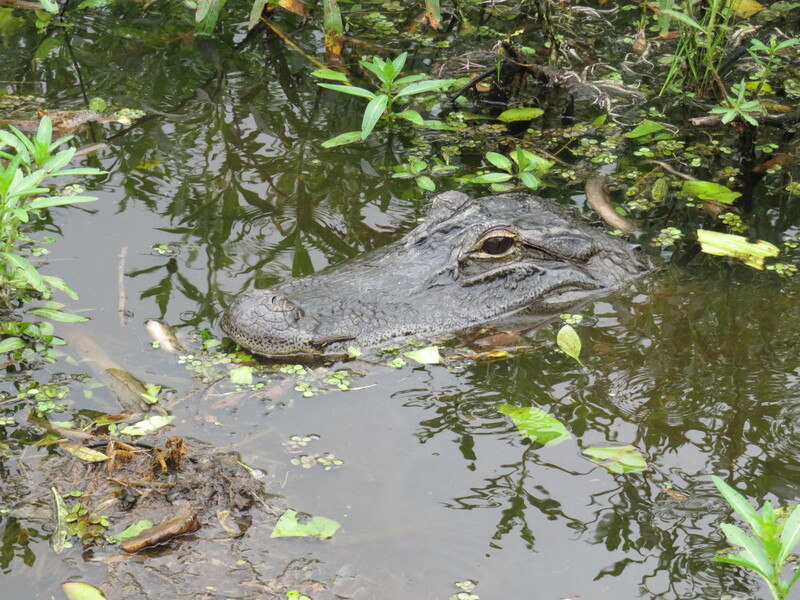 I highly recommend this “off the beaten path” adventure while in the Orlando area. 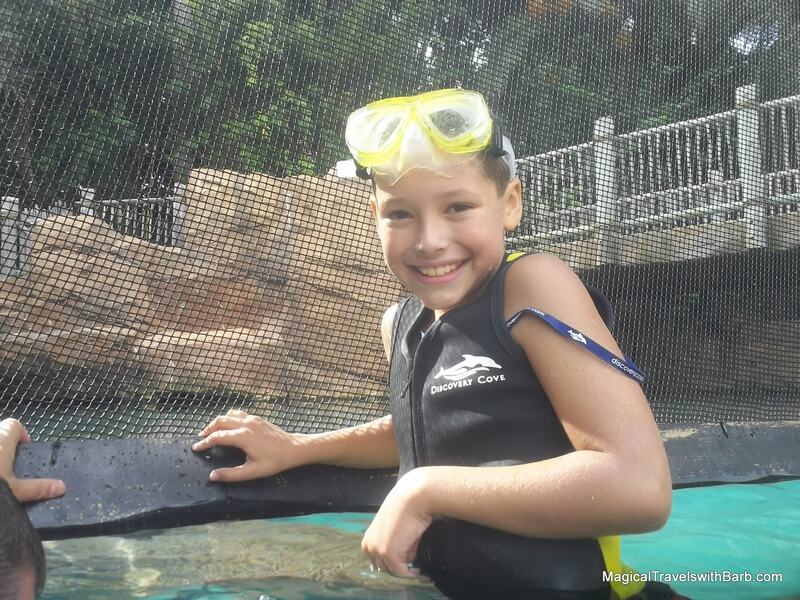 A day at Discovery Cove will be the highlight of your Florida vacation, no question about it. From the moment you drive into the parking lot, you are immersed in a tropical oasis and completely forget the city of Orlando is merely steps away. 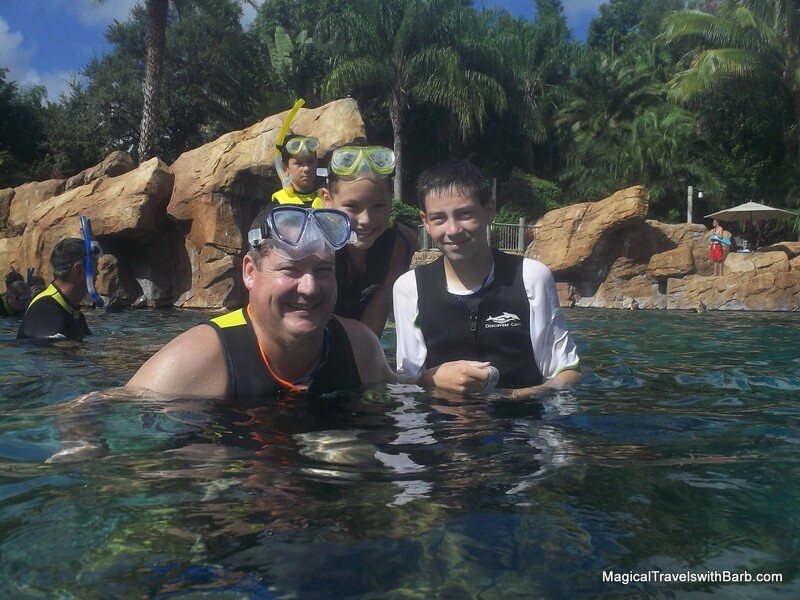 My family recently experienced Discovery Cove for the first time and we absolutely loved it! 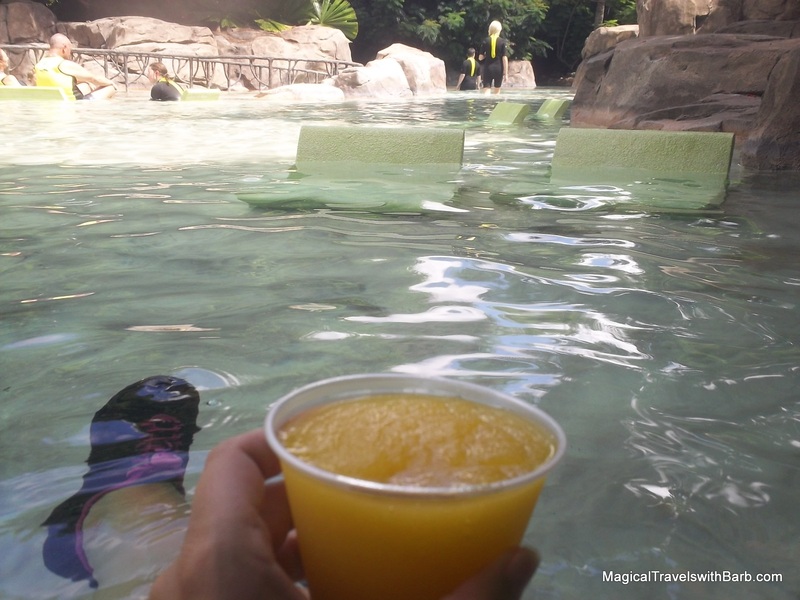 The best way to describe Discovery Cove is an interactive water experience. It does not have rides and slides as a traditional water park does. 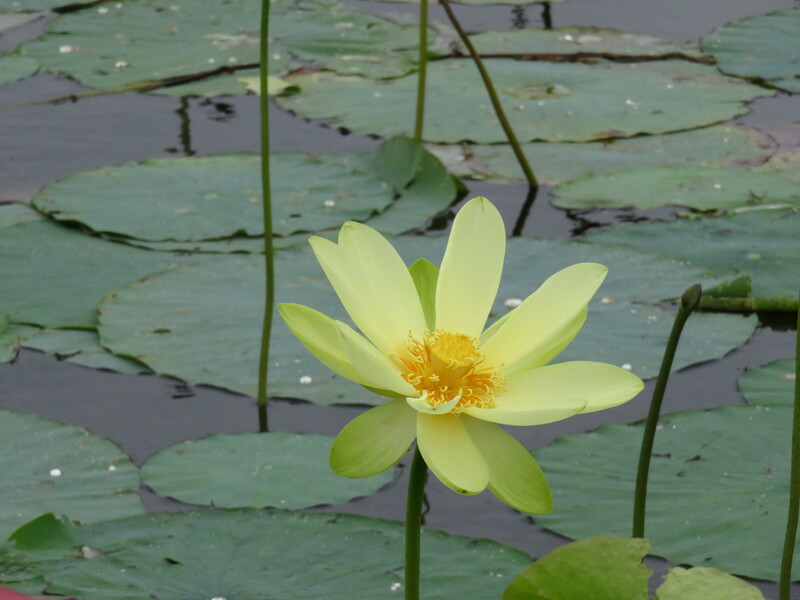 You will spend the much of your day in the water, but you’ll be doing things. The park is divided into 3 distinct areas. There is Wind Away River and Serenity Bay just beyond the entrance. The Aviary is also in this area. Then just passed the restaurant is Dolphin Lagoon where the dolphin swim experience happens. Then just past that is the Grand Reef where you snorkel with fish, stingrays and sharks! 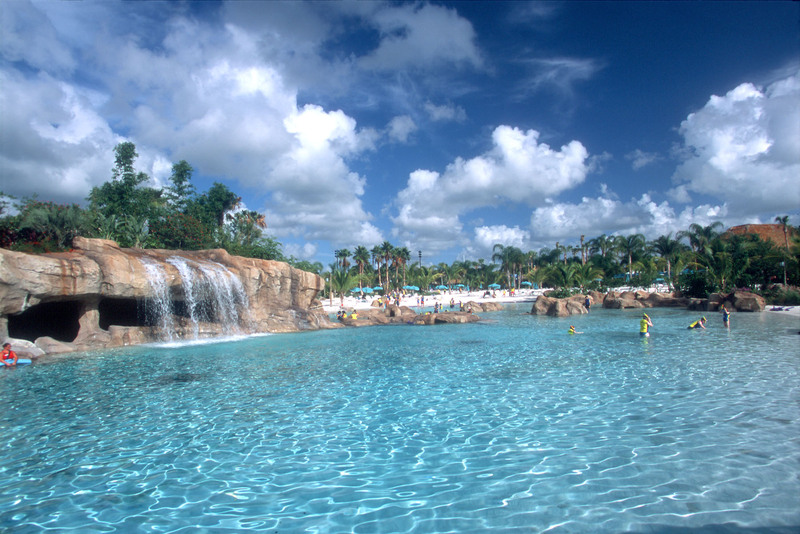 Discovery Cove is an experience that must be reserved in advance. They limit the amount of people per day to keep it from being overly crowded, so when you purchase your tickets, you must select the date you’ll be visiting. You are allowed one change to that date, but just one. The tickets can be bought with or without the dolphin swim, but it’s well worth it if you’ve never done it. 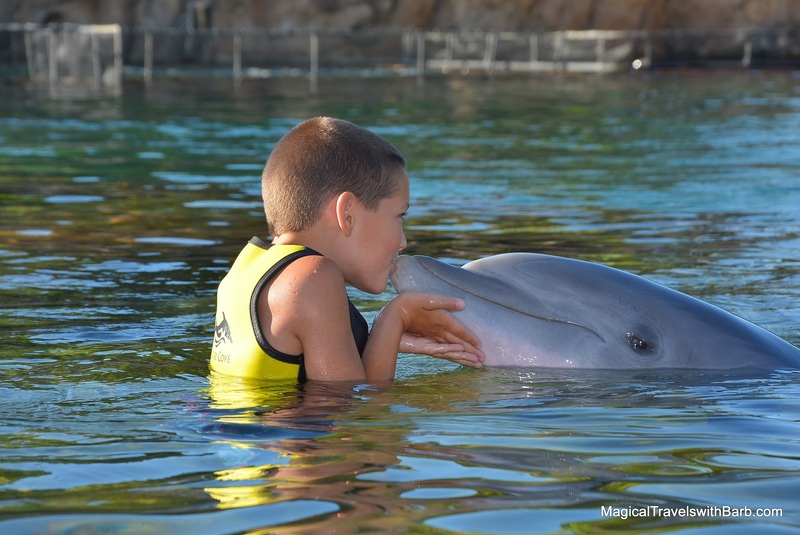 Your day at Discovery Cove is also all-inclusive. This means exactly that. Everything you need for the day is included. Life vests, wet suits, snorkel gear…included. Sunscreen that is animal safe, readily available by all the locker and changing rooms (please don’t wear or bring your own). Towels abundant in the changing rooms. Shampoo, hair dryer, it’s in there. Even plastic bags for your wet clothes. They’ve thought of everything! All your food, breakfast, lunch , snacks, and beverages, including alcohol. It’s included. Lockers are free, the key is hanging inside on a string you can wear around your neck. 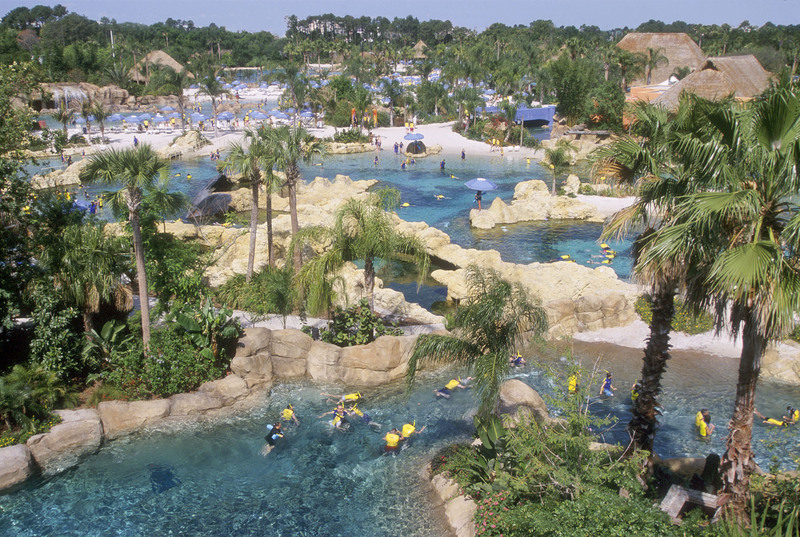 Your day resort package also includes 14 day unlimited admission to Sea World and Aquatica and you can add Busch Gardens for a minimal add on that also then includes parking. 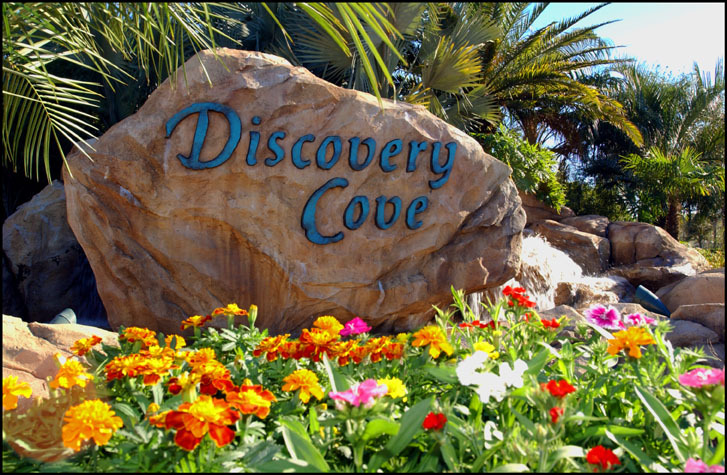 Parking is free at Discovery Cove, but not at the other parks. The park opens at 8am, but plan to arrive earlier. They start check in at 7:15am and if you want to get an early dolphin swim time, you’ll need to be there early. Remember, Florida is known for those afternoon thunderstorms that delay the dolphin swims, so getting it done in the morning is recommended. 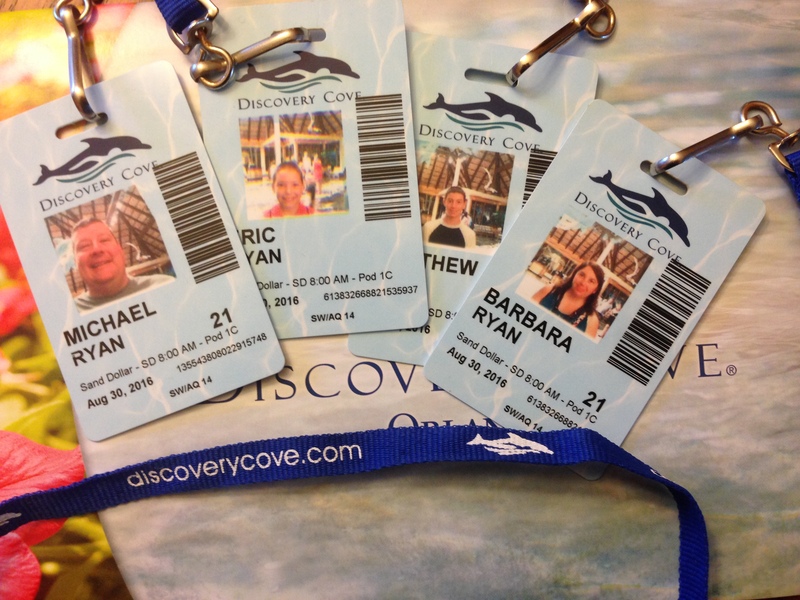 You will receive a lanyard with your photo on it and the time and location of your dolphin swim. It also will be marked with a 21 after they check your ID so you can get alcoholic beverages. After checking in, you will walk into the park and have your picture taken. This picture is included with your day resort package and can be picked up at the photo center later in the day. Next depending on what time your dolphin swim is you can go have breakfast before it gets too busy, or as was our case, go straight to get your vests or wet suits and get ready for your dolphin swim. They have full and short wet suits as well as just a vest. The vests are buoyancy vests so they do keep you afloat, not quite a life jacket, but it’s a help. You do have to wear either the wet suit or the vest anytime you are in the water so the lifeguards can see everyone easier. You also receive a snorkel mask and snorkel. The snorkel is yours to keep if you wish, but the mask must be returned. There are staff everywhere directing you where to go to get suited up and set up in the lockers. As a hurricane was bearing down Florida and the weather expected to not be great in the afternoon, we arrived early and were scheduled for the very first dolphin swim of the day, 8am. So we skipped breakfast and went straight to get suited up, stow our belongings in a locker and made our way to our assigned dolphin cabana. 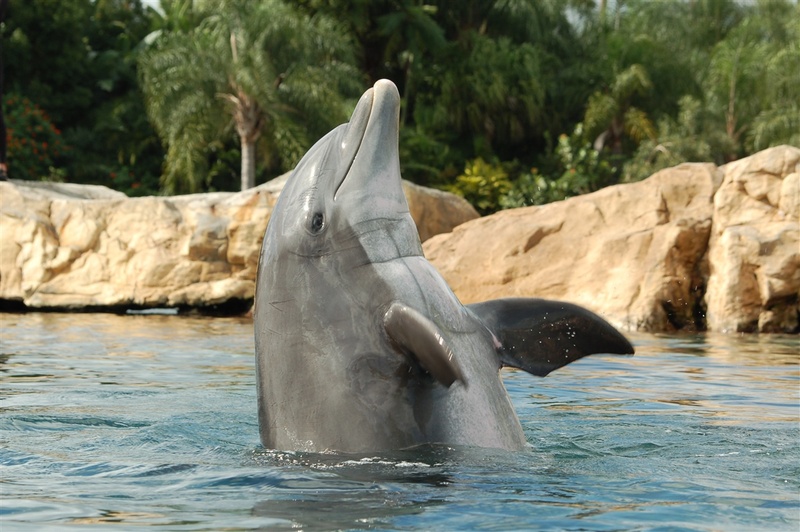 The dolphin lagoon has 3 coves with 3 dolphin interactions going on at a time. Groups are about 10-12 people per interaction. Each cove has a cabana that you meet in for instructions before the swim. In our case, we were 9, our family of 4, another mother with her 2 kids and a brother and sister. We were assigned to Starfish cabana and arrived there to sign in, sign release forms for the children and receive instructions. You cannot wear any jewelry other than your rings. Earrings must be removed, which I forgot so made my way to nearby lockers to put those in. The trainer comes and explains what will happen and then leads everyone to the water. The water is salt water and kept at about 73 degrees. It was cold to many people, although being from New York, it was unheated swimming pool temperature for us, it was fine. 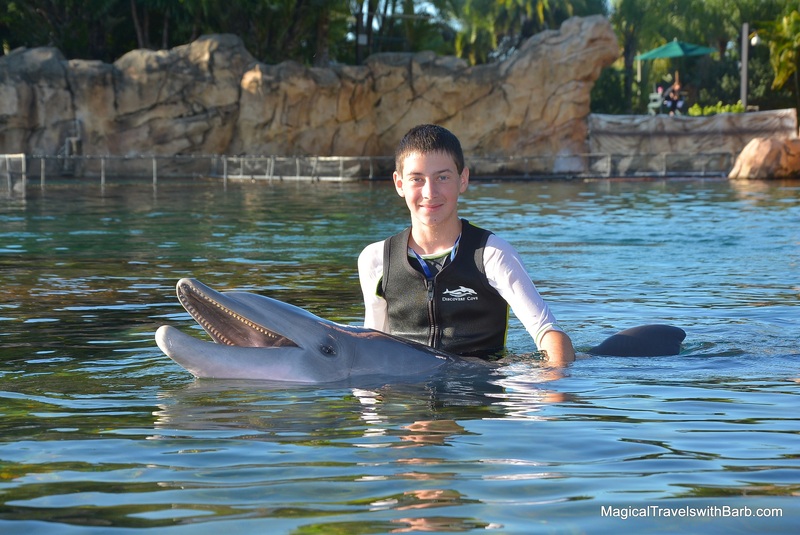 You have about 30 minutes in the water with the trainer and the dolphin and there are some slippery spots so water shoes are recommended. Most of the time you are in waist deep water. We were able to give signals to the dolphin, our dolphin friend was named Clipper and 19 years old, pet and kiss him, feed him fish or jello if you are like me and don’t want to touch fish and get a ride. For the ride, you swim out to deep water where the trainer is and the dolphin comes to you, she shows you how to hold on and away the dolphin goes bringing you back into shallow water. For those not comfortable with deep water, they do have a shallow option as well, there is a ledge of sorts to stand on. You do get a slightly longer ride if you swim out to the deep water though. 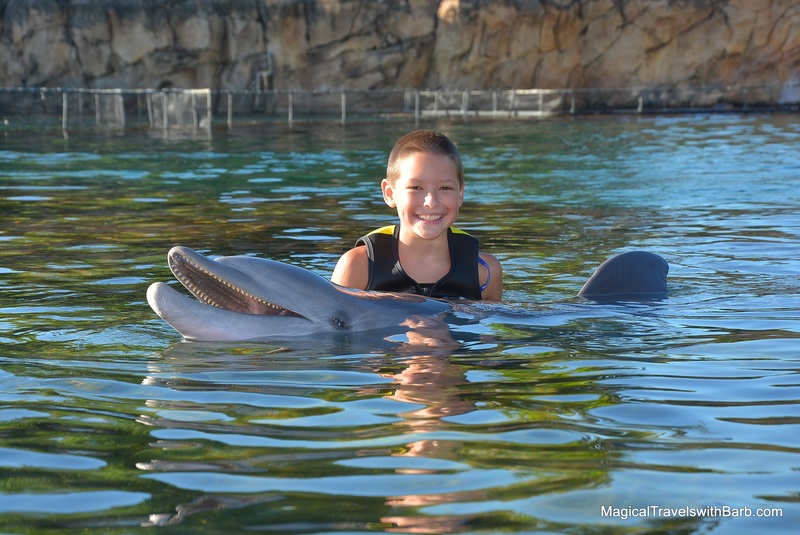 Before getting out, we met Soleil, a young dolphin, only 2 years old and still being trained. She didn’t come to close to us, but did some things like spinning and waving. Soleil was born across the street in the Dolphin Nursery at Sea World. Once your interaction is over, you exit the water and are taken back to the cabana to see your pictures. Cameras are not permitted to be taken into the water. They have a photographer and videographer filming the whole interaction. This is the only item not included in your day resort package. 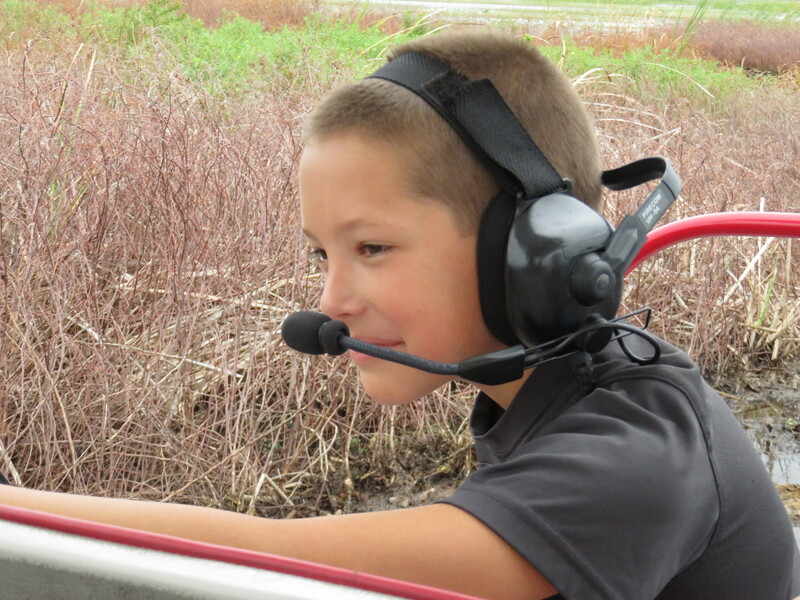 They have several picture package options and will go over everything with you. In our case, because we had skipped breakfast to do the early swim, the photographer told us to go have breakfast and then just go to the photo center and we could pick out the picture package there as breakfast time would be over soon and it was 9am, the busiest time for breakfast. We had breakfast and then headed to the Grand Reef to snorkel. It was quite crowded this morning because everyone had the same idea, get it done before the weather turns. The boys loved petting stingrays and seeing all the fish. 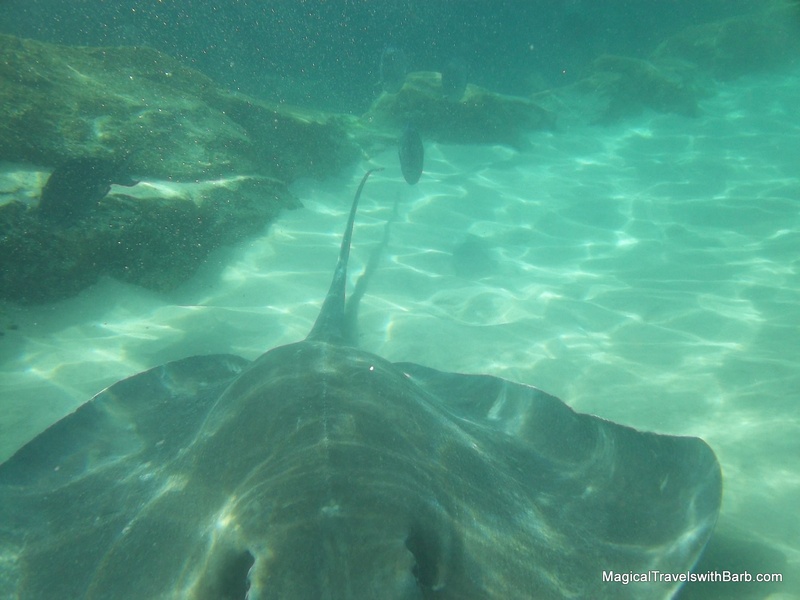 There are fish everywhere and tons of stingrays. Then there are sharks as well, but they are behind a glass wall so while it looks like you are swimming next to them, you are safe. This water is also 73 degree salt water like Dolphin Lagoon. Again, water shoes are recommended, the rocks in the reef are slippery and sharp in spots. There are also some deep areas so you’ll want kids who are not strong swimmers to wear life vests in addition to the vest or wet suit. When it’s crowded it is hard to keep track of your group. This is really the only negative thing I can say about the entire experience. Everyone looks the same in the vests and masks! It wasn’t an issue for me because luckily my kids are good swimmers, with my youngest being a competitive swimmer so I was probably the least skilled of the bunch. I just let them go and took care of myself. I’d choose a less crowded time next time and especially if I needed to keep close tabs on my kids. When we came back for our things on the chairs in the early afternoon, the reef was much less crowded. Also in the Grand Reef is Sea Venture which is SNUBA, SCUBA but with those full helmets. We did not try this, it is available at an additional cost and you walk along the bottom of the Grand Reef in a section people are not in I believe and it also is said to have the best view of the sharks. When we had had enough of that, we made our way to Wind Away River. 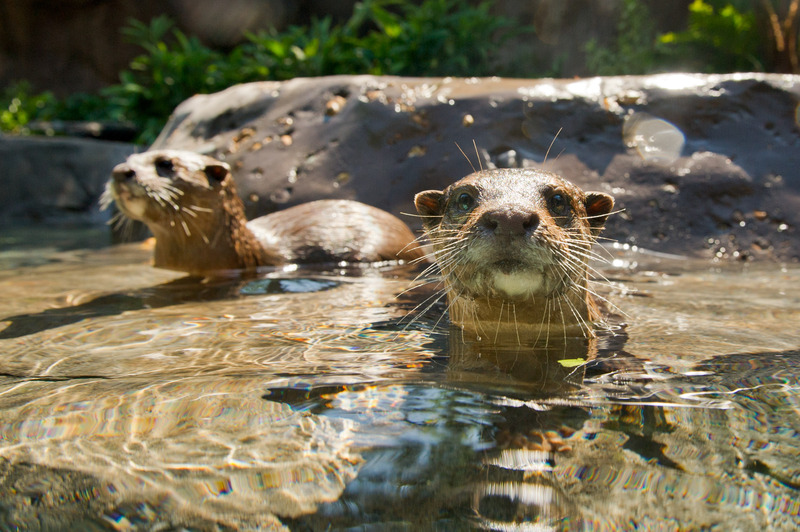 This lazy river is anything but lazy! Deep spots, hidden treasures, caverns and waterfalls. There are deep spots in the river so swimming it all can be tiring. They do have pool noodles in Serenity Bay at the entrance to the river, grab one for a more leisurely journey. It took awhile to make the full circuit, close to 30 minutes I think. 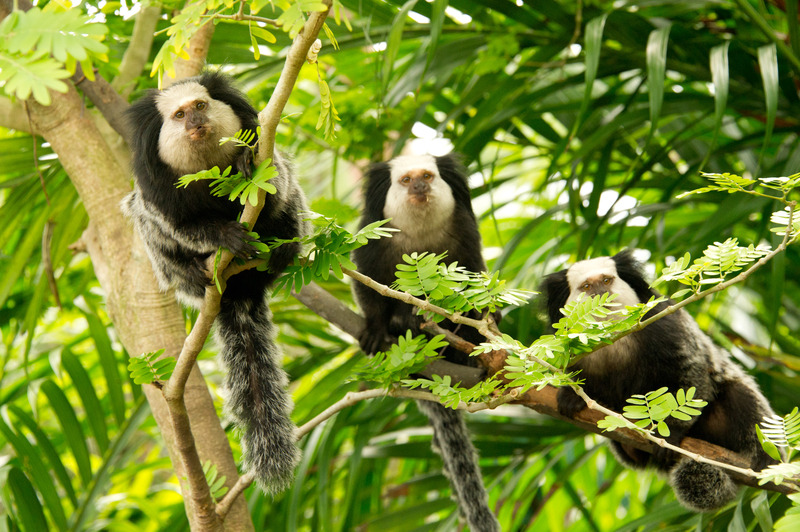 After this we visited the marmosets and otters and then the Aviary, which the river actually goes through and you can get out in the Aviary if you choose to. The birds were not terribly hungry already, but the food is free. 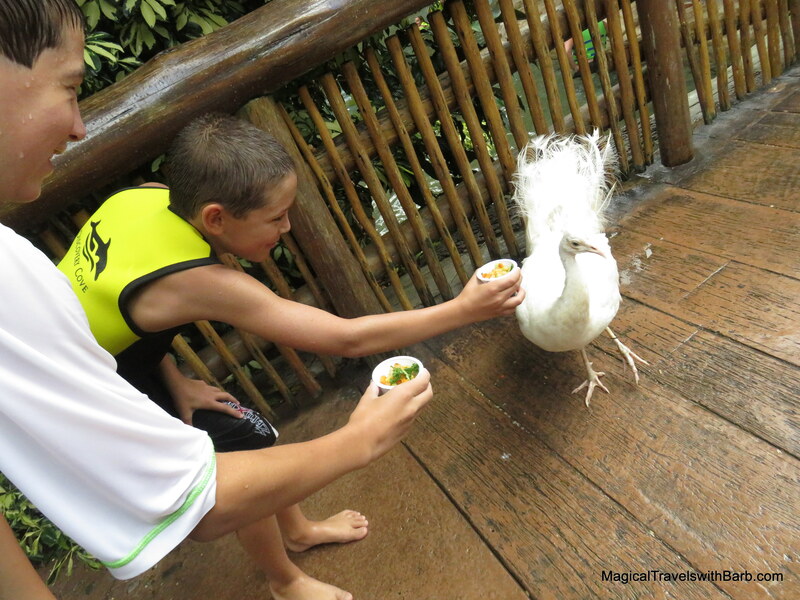 They give you little cups of food and you try and get the birds to land on you and eat. After this, the kids went for another river tour while my husband and I had an adult beverage or two sitting in the water. In the shade. Heavenly. Next up is lunch time, there were lots of choices at the buffet, self serve drink station and plenty of shaded seating. The birds are on alert here, dive bombing for food left unattended, so don’t leave your food or you’ll have to start all over again at the buffet. There is tons of seating, lounge chairs everywhere and there seemed to always be availability of them. We didn’t really ever end up sitting on them, but if you like lounging in the sun there is plenty of that available as well. People would drop towels and shoes off on chairs in the morning to “reserve” them. There are so many though it’s not really necessary unless you really want a certain spot. There are also private cabanas available, at an additional cost. These come with a locker right inside and a fridge stocked with whatever you would like. An attendant will bring you snacks and drinks. These can be reserved 3 weeks in advance and there aren’t many so they sell out. These can come with the photo package which may be a better deal. Before lunch we went to the photo center to pick out our pictures. I purchased a package that did not include the video, there are several options available and if you change your mind, you have 30 days to still call and be able to get whatever you want. They keep the photos and video for 30 days. The photo center becomes very busy around 4-5pm when everyone is leaving and stops there on the way out so going earlier is better if you haven’t already taken care of it right after your dolphin swim. Most of the packages include printed photos, so you have to choose them and then wait a few minutes for them to be printed. Without a wait, there was nobody there when I went, it took about 15 minutes. We had a late lunch and then left as the clouds were rolling in, but it turned out better than the forecast predicted and the weather held out longer than we thought it would. All in all, Discovery Cove was an amazing relaxing day and well worth it. I highly recommend this day to recover from the grueling theme park days that usually encompass a Florida vacation. 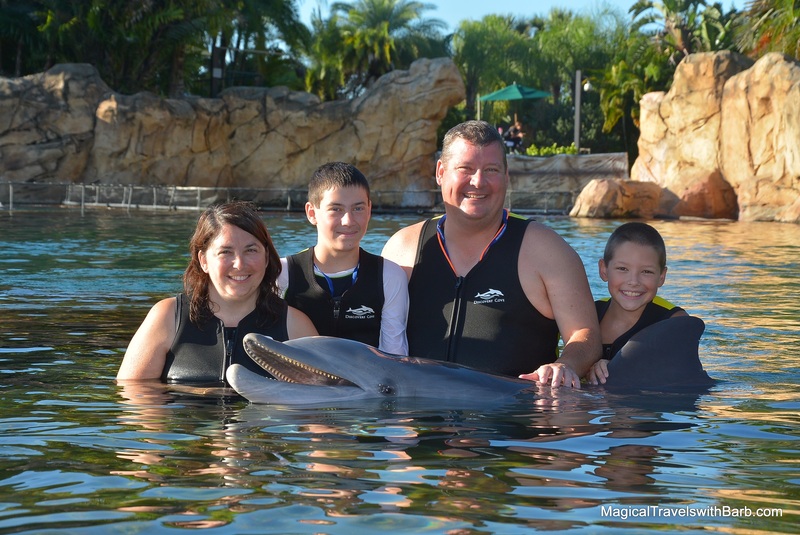 Contact me to plan a trip, Discovery Cove can be added to your Disney or Universal vacation. 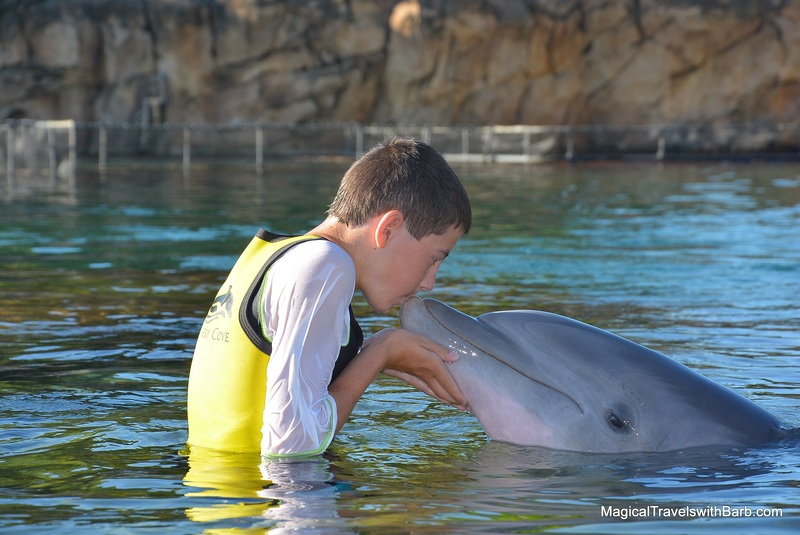 *All photos are my own or from Discovery Cove photographers and stock images included with photo package. **All opinions are my own. 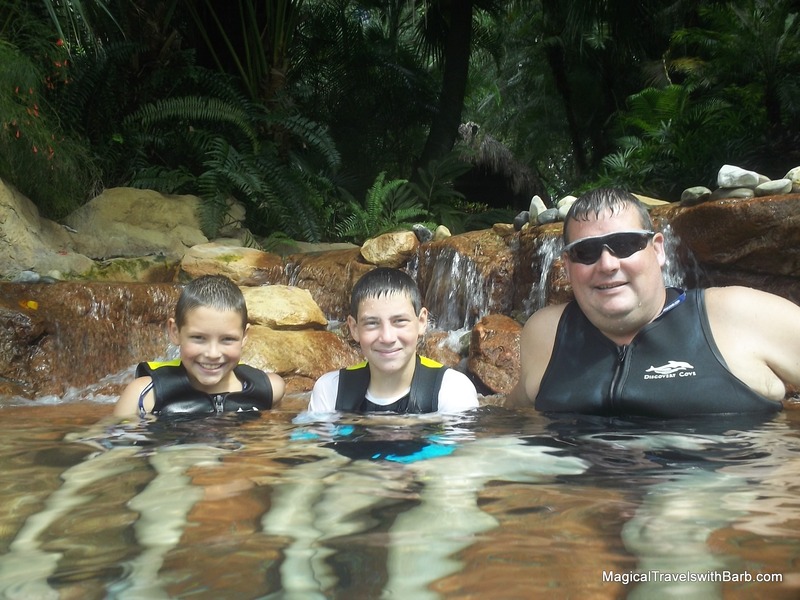 I was not compensated in any way by Discovery Cove and paid full price for our adventure.